The contract with China Railroad Rolling Stock Corp. includes new cars for the Red Line. 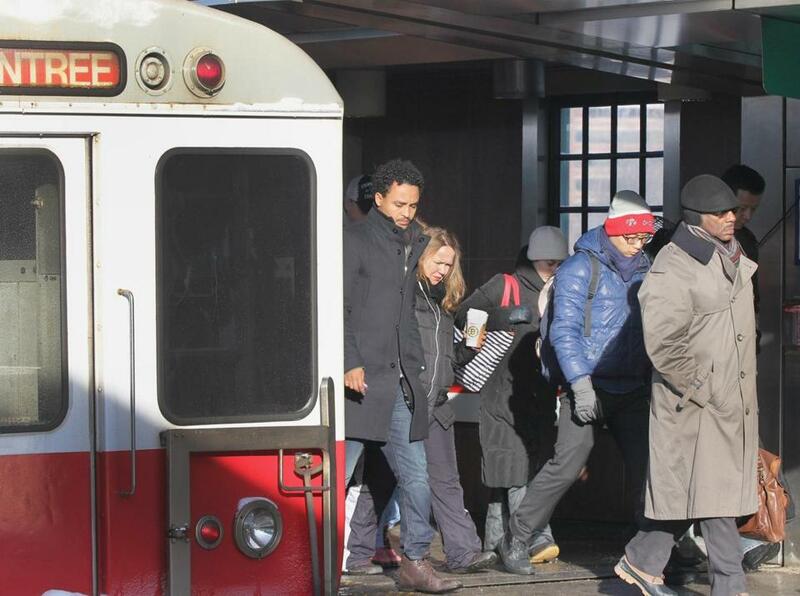 Above: Passengers exited a Red Line train at Charles. Dozens of members of Congress have asked Treasury Secretary Jacob Lew for an investigation into the Chinese company building subway cars for the MBTA’s Red and Orange lines. China Railroad Rolling Stock Corp., or CRRC, has used subsidized financing from the Chinese government to “underbid private competitors” for contracts in Boston and Chicago, the 55 members of Congress wrote July 15. DeFazio is the ranking member of the House Transportation and Infrastructure Committee. The deal for the company to build 284 subway cars includes construction of an assembly plant in Springfield, where the company plans to establish its US headquarters. State officials hailed the $566 million deal when it was announced in the final months of then-governor Deval Patrick’s administration, saying it would create jobs. The new cars would reduce subway wait times and hold an average of 15 more passengers per car, they said. CRRC held a Springfield ground-breaking in September attended by Governor Charlie Baker and other dignitaries. According to the group Transportation for Massachusetts, the railcar manufacturing contract was about $200 million below the original estimate, and the Springfield facility will be 150,000 square feet. Last year, a judge denied Hyundai Rotem Co.’s attempt to block the deal. The rival alleged there must have been improper communications when company officials met in Hong Kong with Patrick and then-transportation secretary Richard Davey. CRRC, the product of a recent merger, is the largest railcar manufacturer in the world and “four times larger than the entire US rail manufacturing sector,” according to the congressional letter. US Representative Michael Capuano, a Somerville Democrat who sits on the transportation committee, did not sign the letter. The letter asks that the Committee on Foreign Investment in the United States investigate the “pending transfer of ownership in the Vertex Railcar Corporation involving” CRRC and Majestic Legend Holdings. On his website, DeFazio says he wants an investigation into a “joint venture with the North Carolina-based rail manufacturing company, Vertex Railcar Corporation,” CRRC, and Majestic Legend Holdings — which is “associated with” the parent company of computer manufacturer Lenovo, according to the letter. Lenovo’s parent, Legend Holdings, and CRRC are Chinese state-owned entities, the letter said. The interagency committee chaired by Lew can determine that a transaction “presents national security risks,” enabling it to impose conditions or refer the matter to the president, according to the Treasury’s website. “In effect, American railcar manufacturers and its associated industries, such as steel, are now competing against the resources of the world’s second-largest economy,” the letter argues.